Hello! 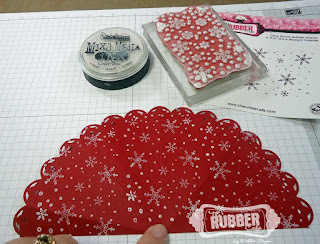 I have another holiday project to share with you today. 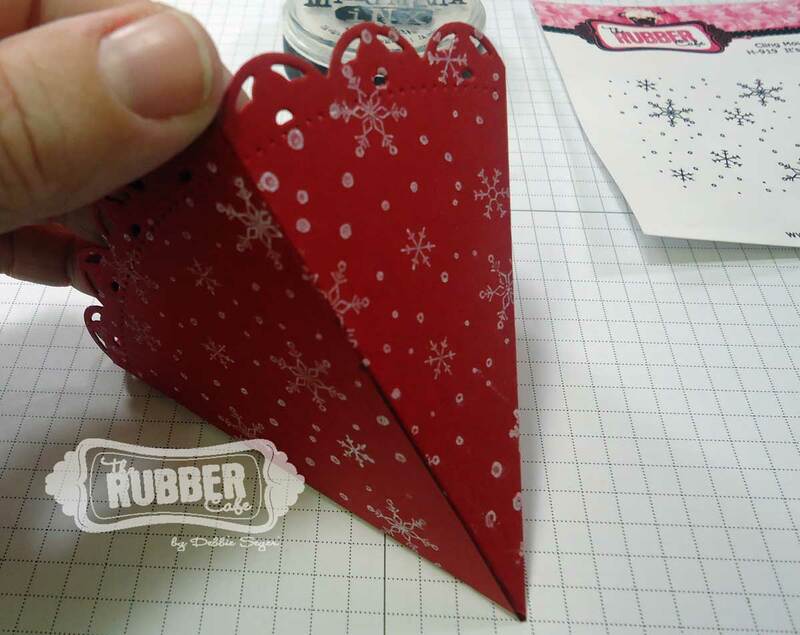 I made these cute little paper cones out of some cardstock, strong adhesive, stamps and some embellishments. I think this is a perfect little gift holder for a gift card or a little bit of candies. What do you think? 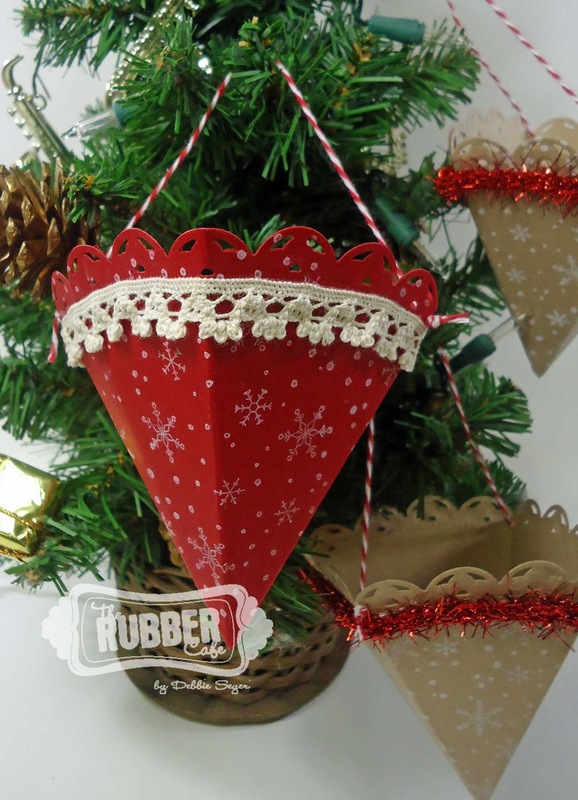 I had alot of fun making these little paper cones! 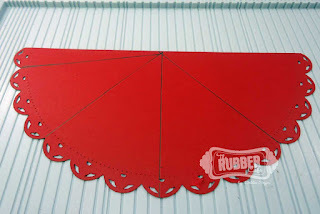 To start, I cut/embossed some red cardstock using Spellbinders™ LF-015 Grand Decorative Circles On. I guess you can tell that I really like this die template set, huh? LOL After cutting/embossing the largest circle in the set, cut the circle in half - this die cut is 8" at it's widest point. Now you have two half circles. You will need to score these half circles down the middle at 4". Using the straight edge of the circle as a "pivot point", score at every third scallop. It will look like this. You will have a small flap on one side but not on the other. 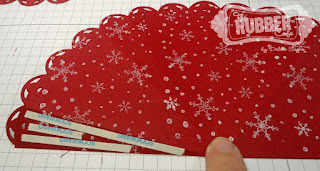 Pre-fold the scored lines and then it is time to stamp! I used It's A Blizzard Outside stamp and some white craft ink on my paper cone. Now it's time to put the cone together. Use some strong adhesive like 1/8" Scor-Tape to secure the cone together. 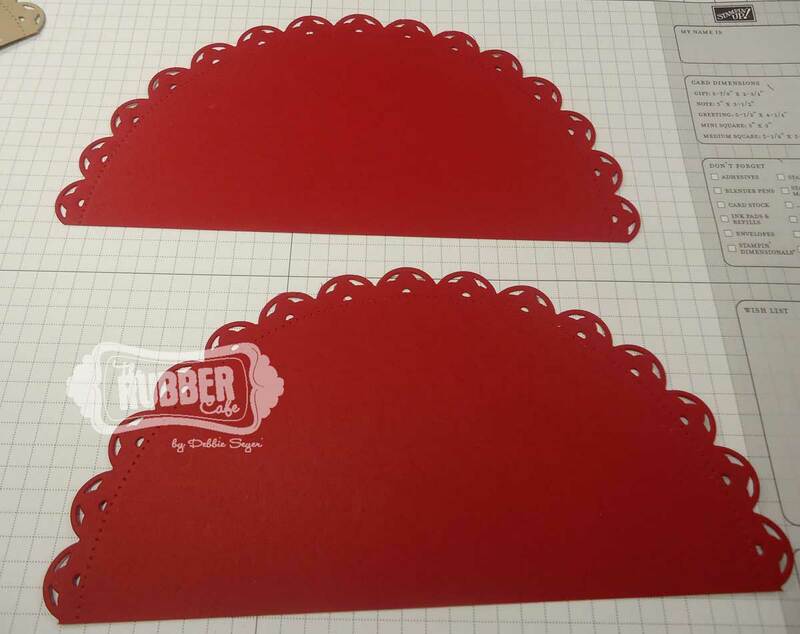 Here is what it will look like after adhering it together. Now you can have some fun decorating these cones. I just added some bakers twine as a hanger and some lace/tinsel around the top. 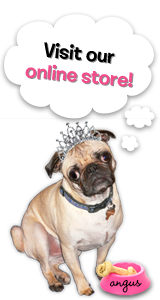 Of course, you could get really fancy with it! 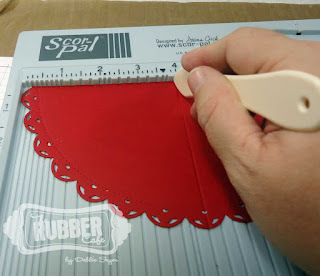 Have some fun and use up all those embellishments you have purchased over the years! I hope you will give this project a try! It was very fun to make and I can't wait to fill them with goodies for my girls on Christmas day! Stamps: The Rubber Cafe' - It’s a Blizzard Outside. 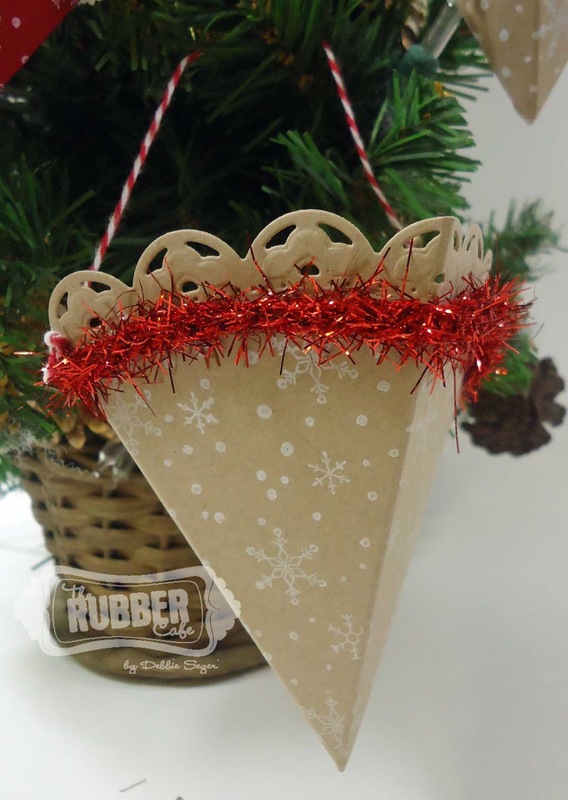 Super sweet cones, Debbie! Great tutorial too, I'll try making some! Thanks!